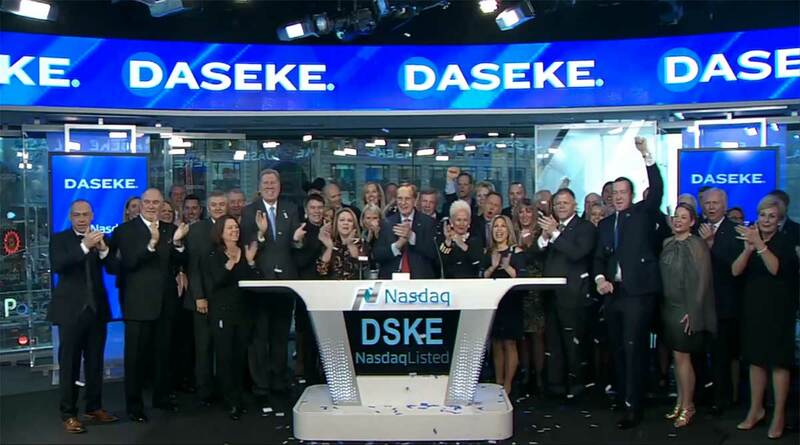 Daseke Inc. reported a profit for the first time since it became a publicly traded company last winter, reversing losses as a private entity one year ago and two quarters in the red in 2017. The Addison, Texas-based flatbed carrier barely crept into the black with $50,000 in earnings, although after dividends to preferred shareholders, it lost 3 cents per share. Top-line revenue was $231.3 million, up 33% from a year ago. A year-over-year comparison of profits on a per-share basis would be skewed due to the issuance of millions of new shares when the company went public. Daseke Chief Financial Officer Scott Wheeler noted that Hurricanes Harvey and Irma and unseated trucks cost the company about $5.7 million. “While the hurricane impact was a one-time event, we are proactively addressing the competitive driver recruiting market by offering enhanced driver incentives, including a pay increase and stock incentives. In our industry, professional truck drivers truly are the heart and soul of everything we do,” Chairman and CEO Don Daseke said. Daseke-owned Bulldog Hiway Express, Hornady Transportation and Boyd Brothers Transportation announced raises in recently months and sign-on bonuses to lure drivers from the competition. In Daseke’s flatbed solutions division, revenue climbed 7% to $253.8 million despite a 1.6% drop in total miles driven to 112.3 million. Daseke’s specialized solutions segment recorded stronger results with revenue surging 53% to $147.6 million. Total miles driven increased 61% to 38.9 million. Much of the improvement, though, is due to the four carriers that Daseke has brought into the family of companies this year, adding new assets and new business into the portfolio. Among those transactions were to acquire The Steelman Cos., a flatbed carrier, and R&R Trucking, which is a specialized transporter of defense and commercial high-security cargo. Daseke ranks No. 42 on the Transport Topics Top 100 list of the largest for-hire carriers in North America.